even luxury malls have to make an effort to stay relevant, especially so in a fast-paced retail scene as can be found in bangkok. little over a decade after the global financial crisis, things may look much more on the bright side, but its effect can still be traced to this very day. the opening of luxury malls seems an unstoppable phenomenon, while the shopping habits of the thai capital's biggest spenders – read: middle class households and the upper crust demographic – has drastically changed from strictly high-end purchases to a more eclectic and adventurous outlook on lifestyle. it's a notion that the owners gaysorn village have taken to heart. formerly known as gaysorn plaza, the venue first opened in 1994 as the city's first upscale mall, and as such, it has longtime served as a nationwide benchmark in the upper echelons of retail. anticipating changing times, the shopping centre has tweaked its formula and given its premises a multimillion-dollar revamp. 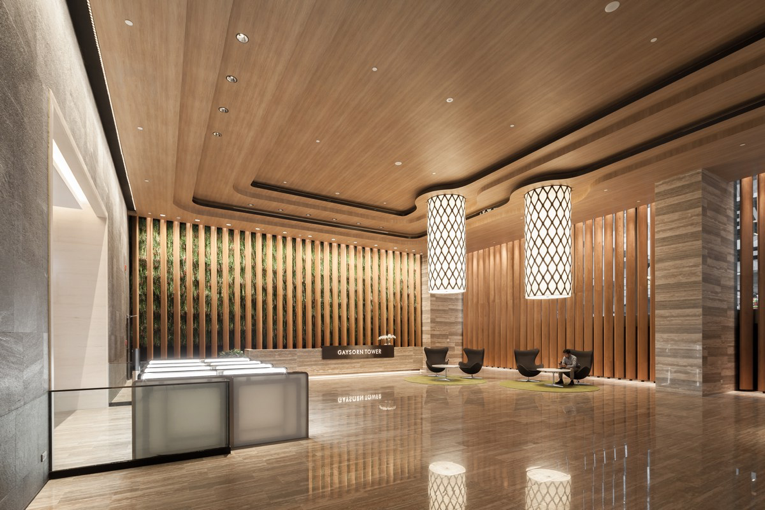 it's a massive transformation that also involves the renaming of amarin plaza and amarin tower, a similar mixed-use complex situated across the road and which is currently still in the works, and the opening of a brand new 30-storey building called gaysorn tower. both complexes are to be linked by a new skywalk that allows shoppers to safely avoid bangkok's brutal traffic flows. 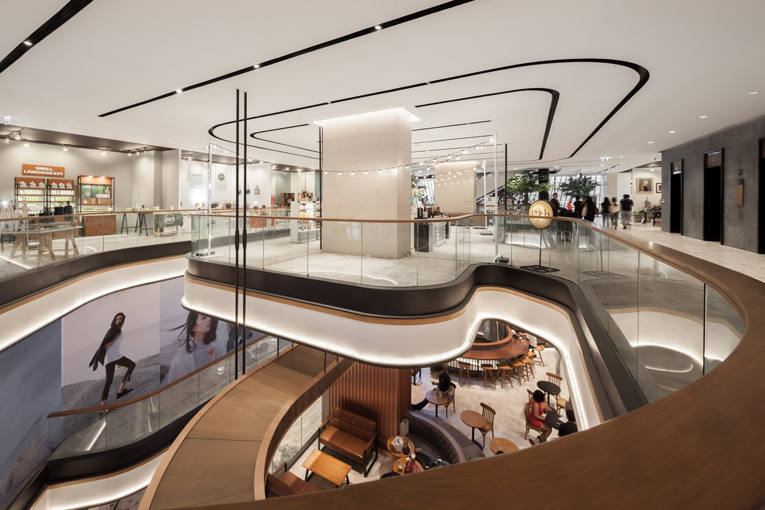 although gaysorn village is primarily concepted as shopping mall, there's also office space to be found, resulting in an impressive total floor area of 180,500 sqm. [1,167,884 sq.ft.]. 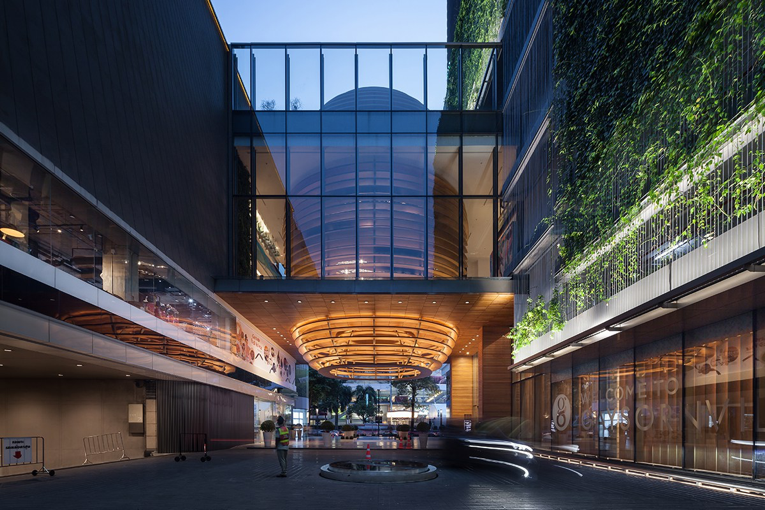 the mall's new and slightly futuristic outer shell has been designed by architects 49, while hong kong-based practice cl3 was commissioned to design its interior. 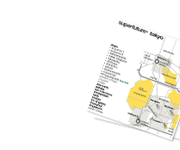 the design objective, creating a distinctive shopping and working environment that's anchored by the concept of an artisanal village and developed in a sustainable manner. 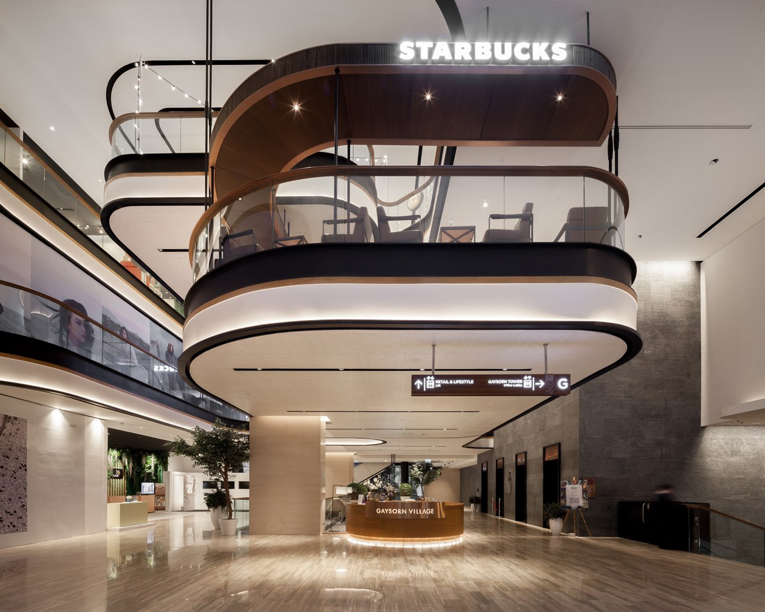 as for the shopping aspect, the vibe shifts away from strictly prestige-driven, and aims to add a unique experiential value. it sees the creation of various zones where to shop and relax, captured by locally sourced materials and inspired by thai crafts. 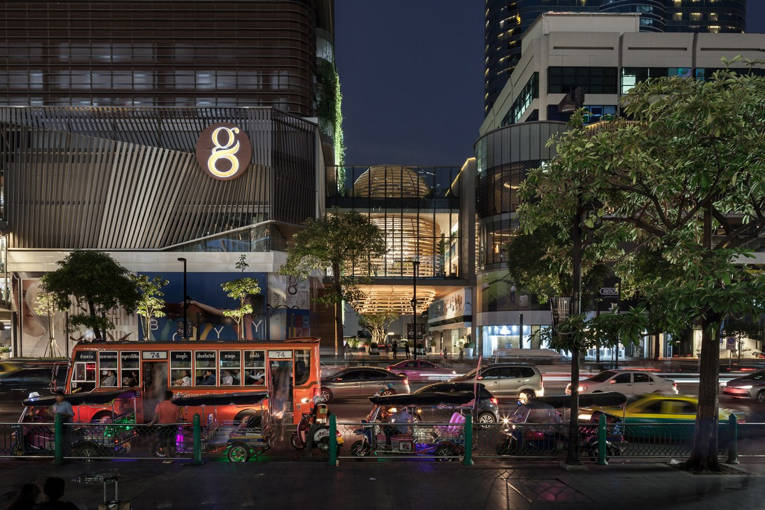 the mall section that was previously known as gaysorn plaza has been given an extension to the newly built gaysorn tower, and to connect the two elements, a cocoon-shaped has been erected to symbolize renewal and transition. not surprisingly, this cocoon is also home to a social meeting place where activities are being held. 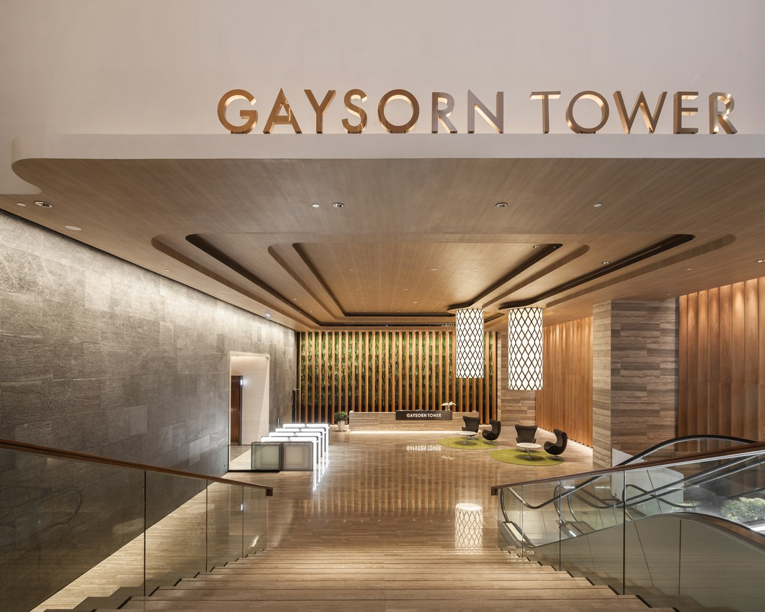 the current tenant list of gaysorn village includes a slew of leading brands, such as brioni, bang & olufsen, louis vuitton, leica and brooks brothers. location: gaysorn village, 999 thanon ploenchit [siam].